Ooops indeed. Did the lunchtime Multiwinia game at the Future offices got a bit out of hand? 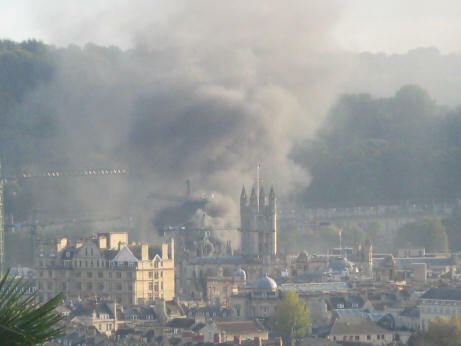 Even on fire, Bath looks nicer than where I live. Crikey, gas canisters exploding and stuff. DRAMA. I hope none of the Bath pigs got burned. If they are I am holding you sir responsible!